I‘m a traveler by profession and by nature. When I’m not speaking or writing about the benefits of travel, I’m probably planning my next adventure. 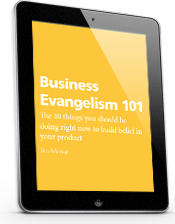 Subscribe to my mailing list today and get access to your free copy of “Business Evangelism 101”. You’ll learn the 10 things you should be doing right now to build belief in your product. In this new speaking series, I share the personal and professional benefits of travel that often go unmentioned. Why Travel Matters helps people to move beyond the bucket list and learn to seek out life-changing travel experiences. This new book will include not only my own travel stories, but also stories from some of the most traveled people in the world… including you! Email me today if you have a story that you think needs to be in this book. Over the past 25 years I’ve helped top travel companies, start-ups and venture capital firms disrupt their industries. Today I work with our clients to drive their travel-related technology, marketing and product development strategies. Over the last two decades, I have traveled over a million miles and visited nearly one hundred countries. What I’ve experienced and what others experience while traveling intrigues me—and if you’re a lover of travel, it might intrigue you, too. © 2015 JIM MENGE | ALL RIGHTS RESERVED.